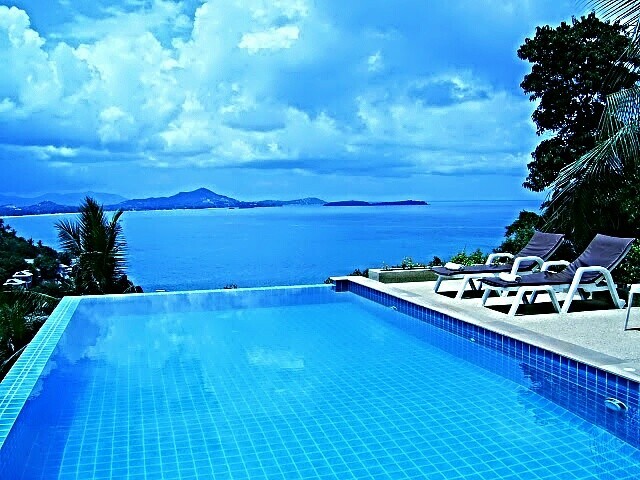 The romantic beach 300m from us. 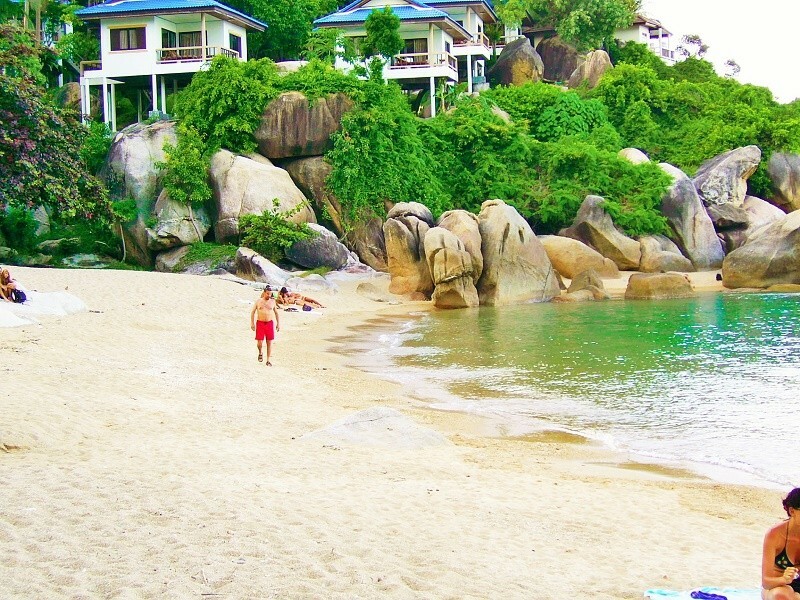 The beach is still a secluded place and not crowded. 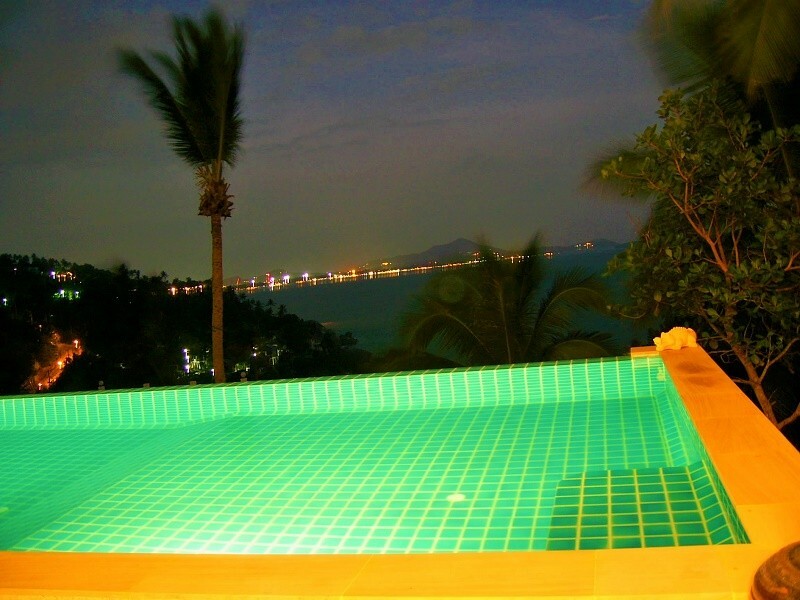 It is covered by wonderful rock formations on both ends and offers relaxation and chilling while listening to the waves. 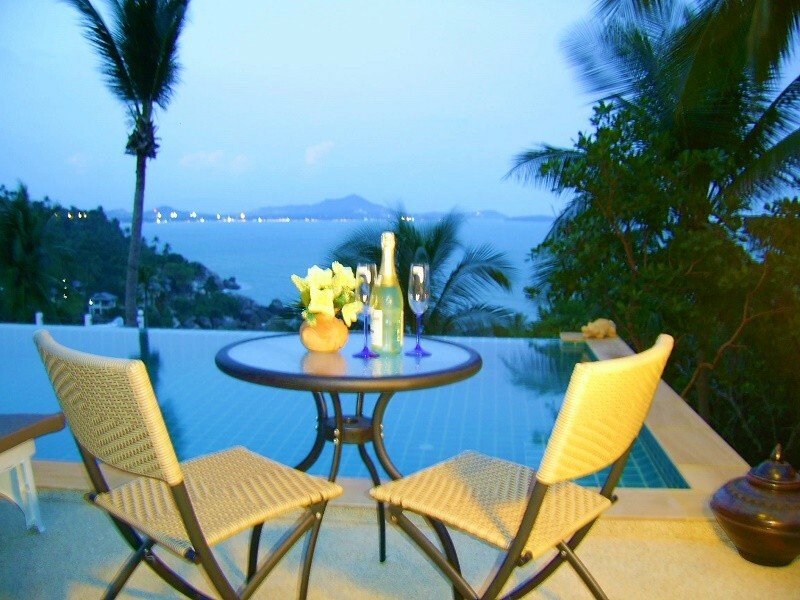 A restaurant offers food and drinks at a good value and you may enjoy your beer or wine while watching the blue sea. The beach is still a natural one and the beach palms provide additional cooling shadow. 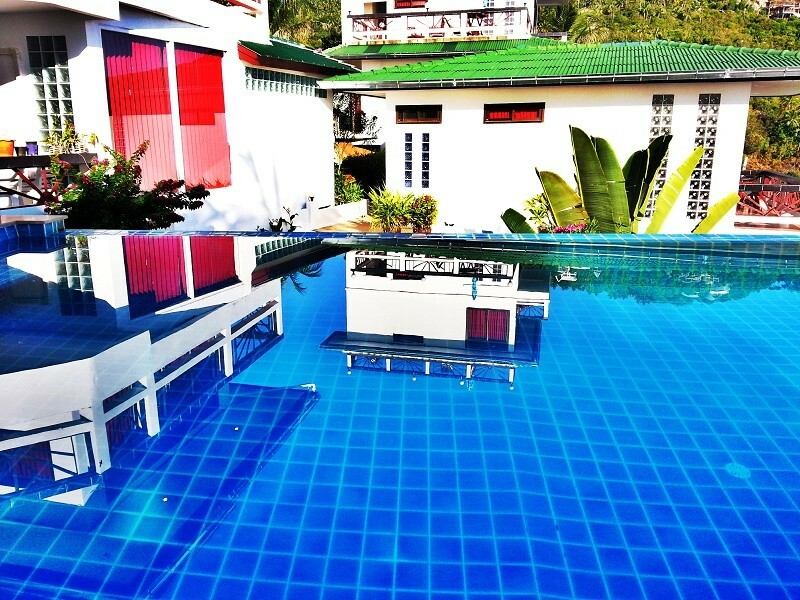 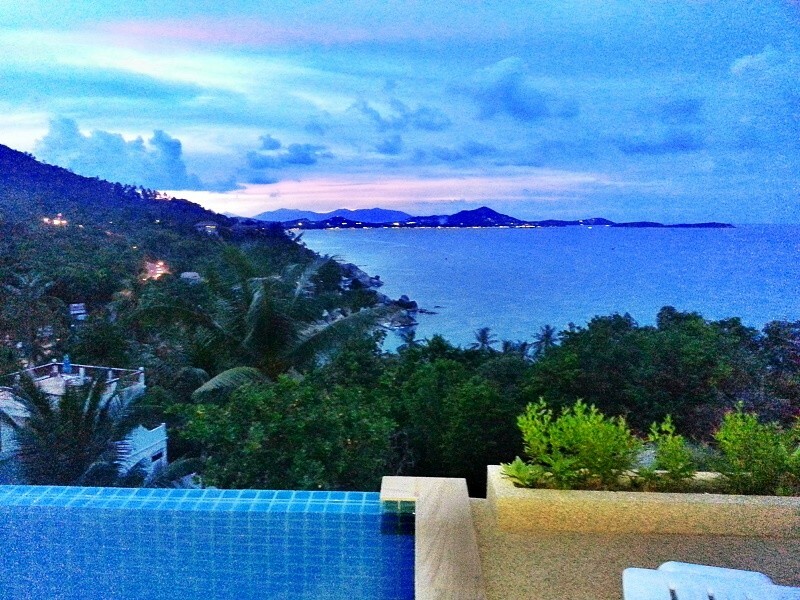 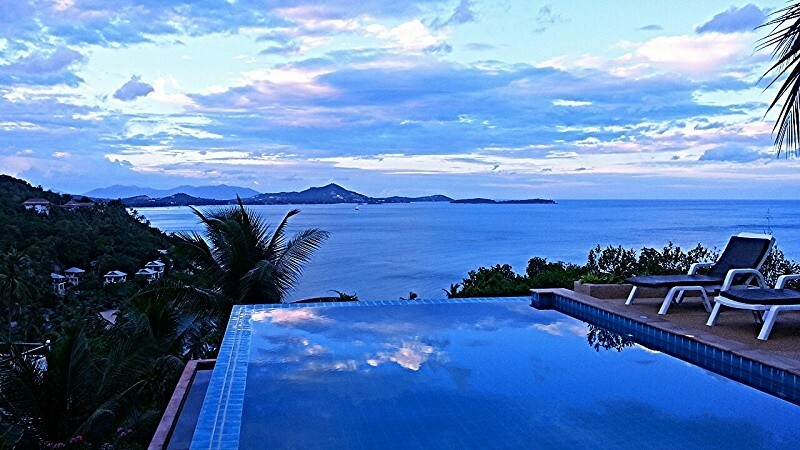 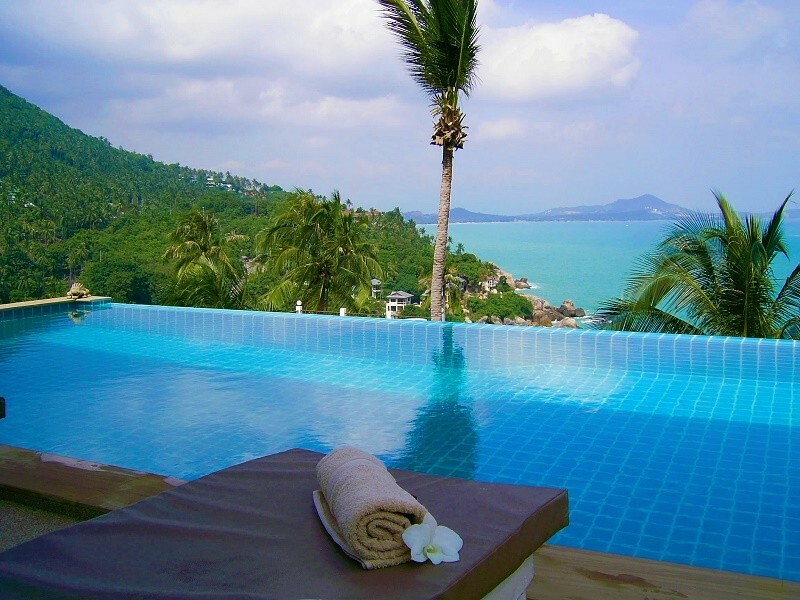 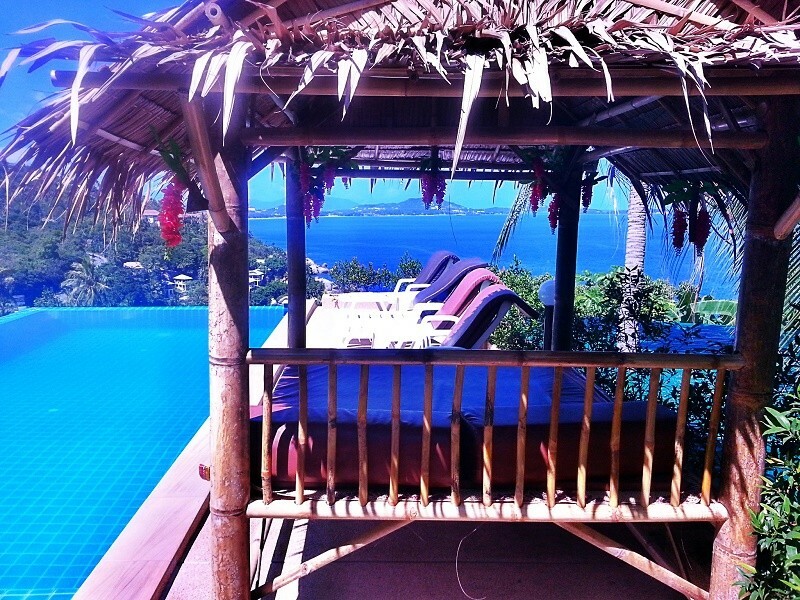 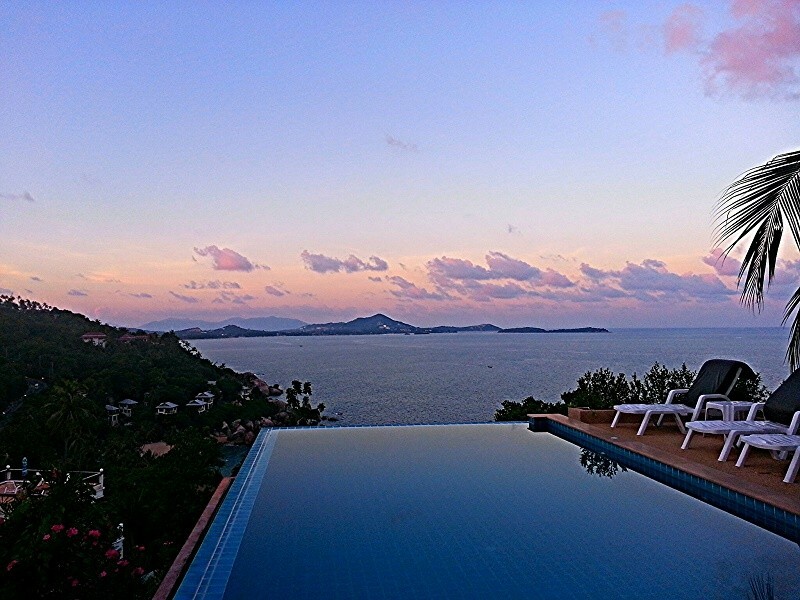 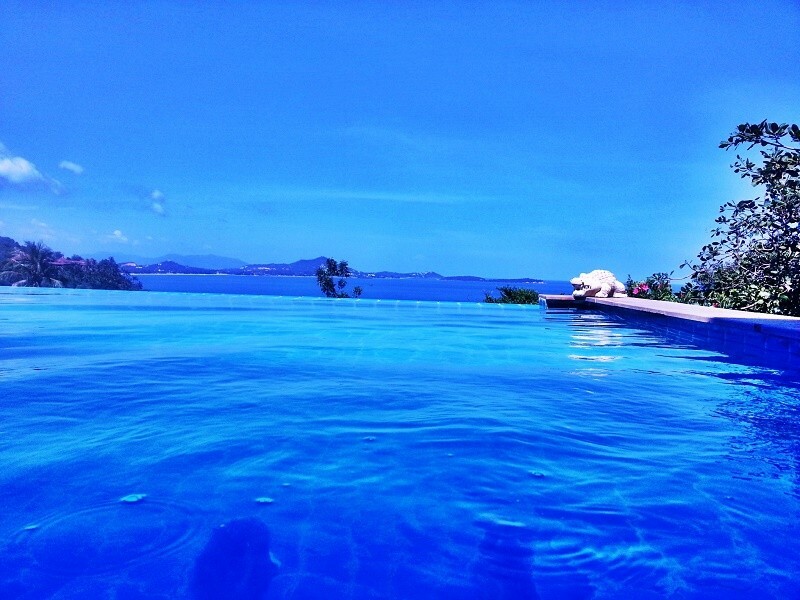 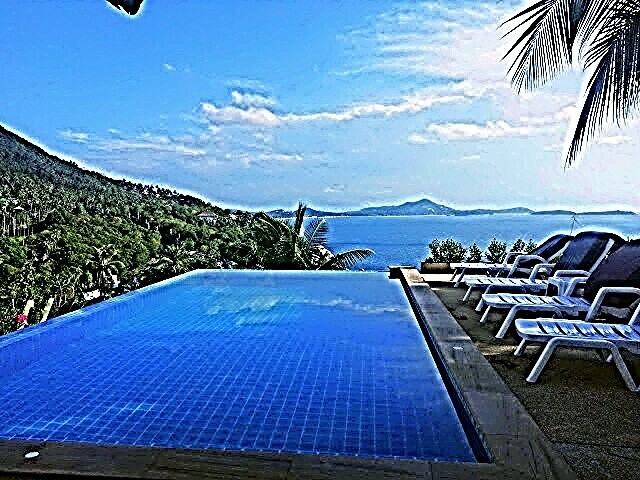 We do have two pools with sea views to the bay of Chaweng. 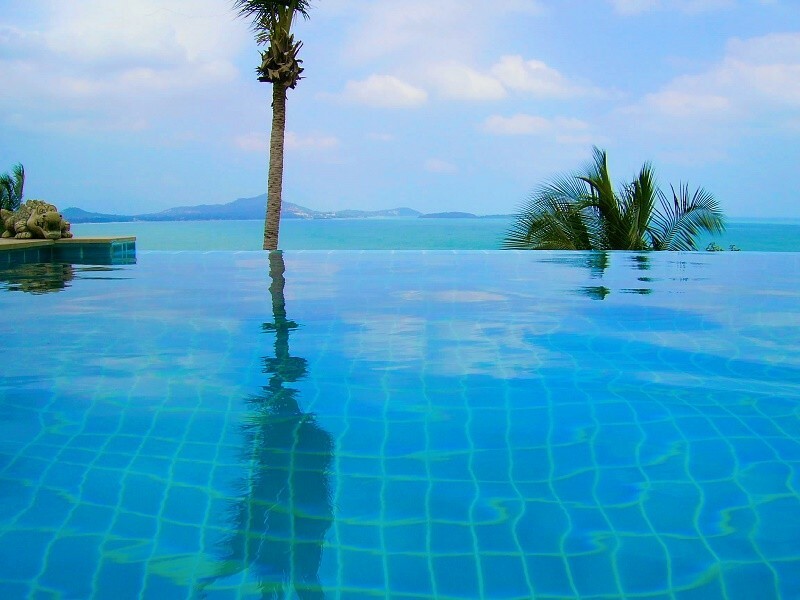 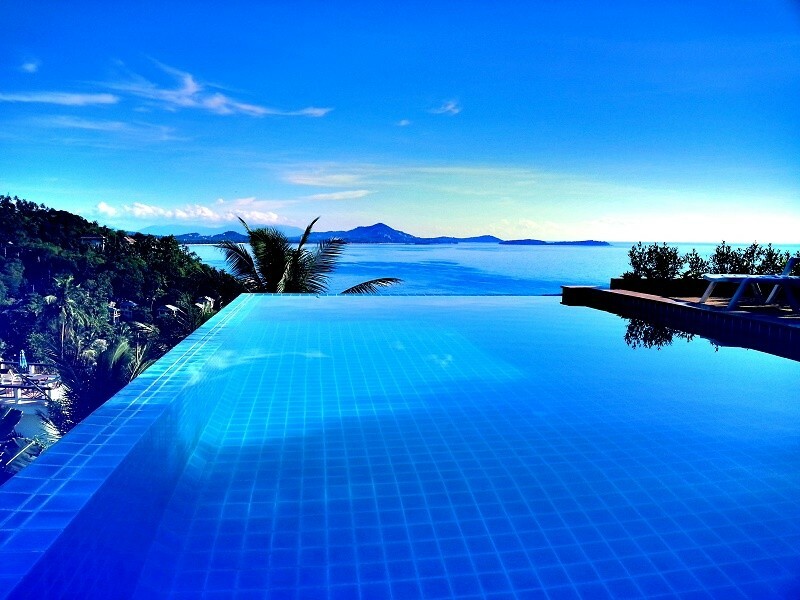 The pools may be accessed by all our guests. 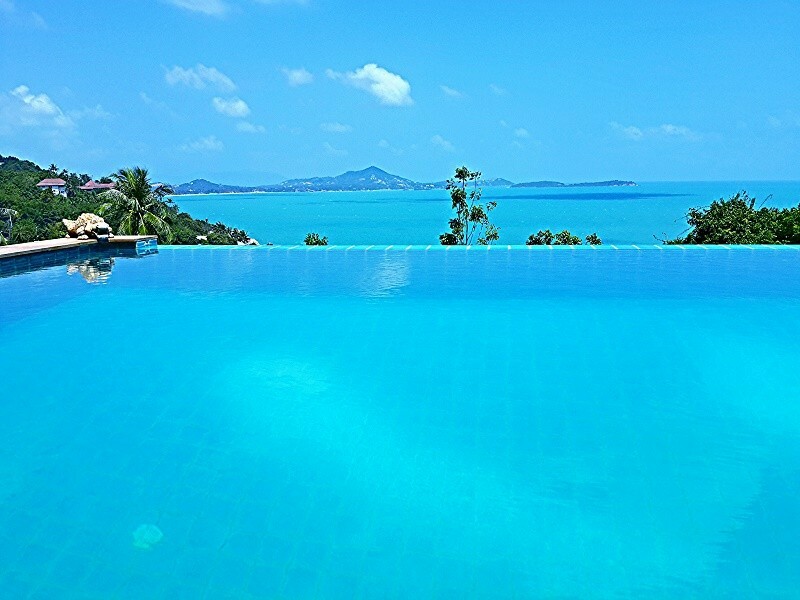 With two pools and only a few villas on our site we have optimized a private atmosphere as it will not be crowded at the pool like in a big hotel. 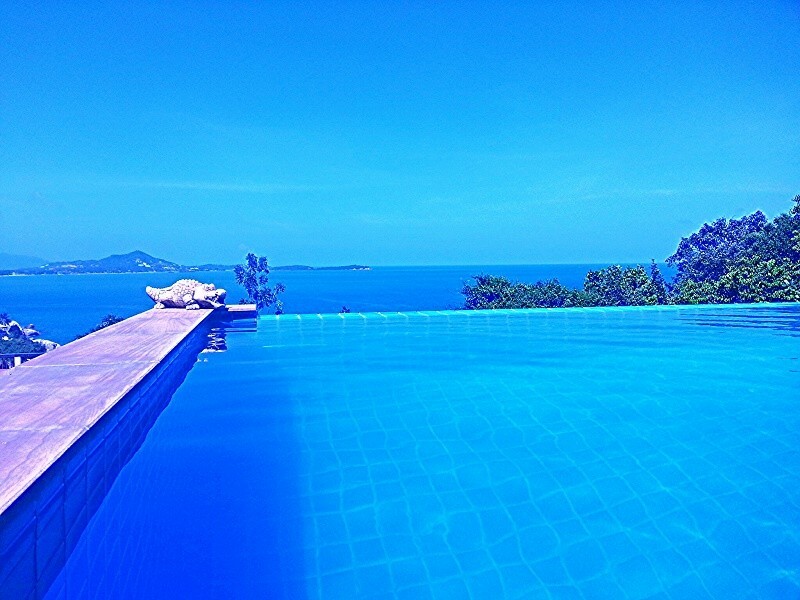 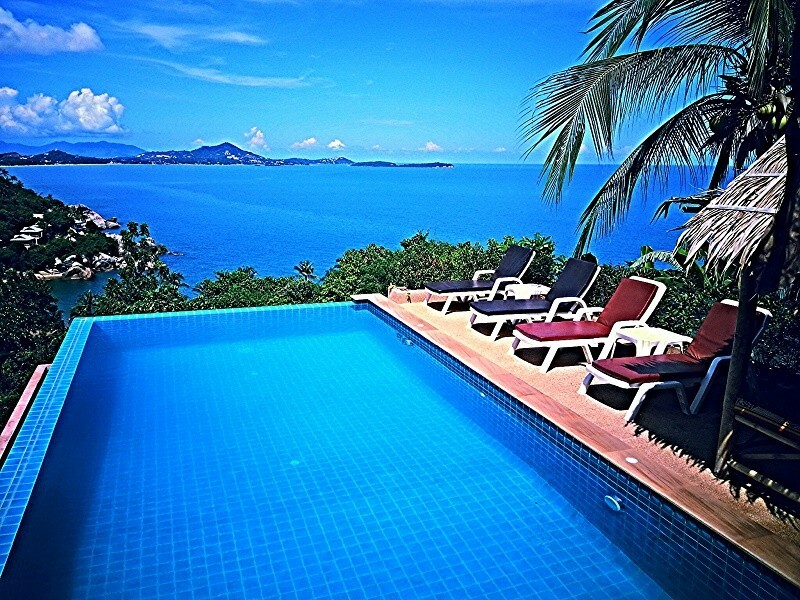 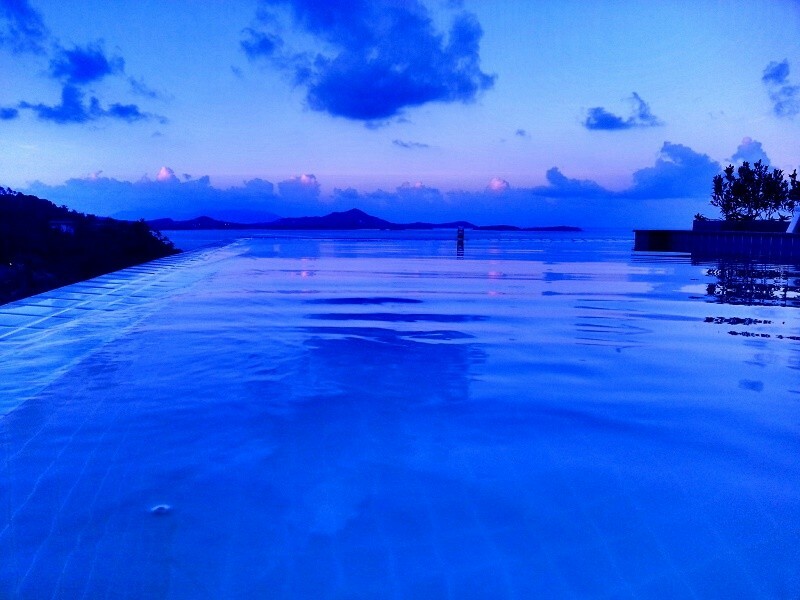 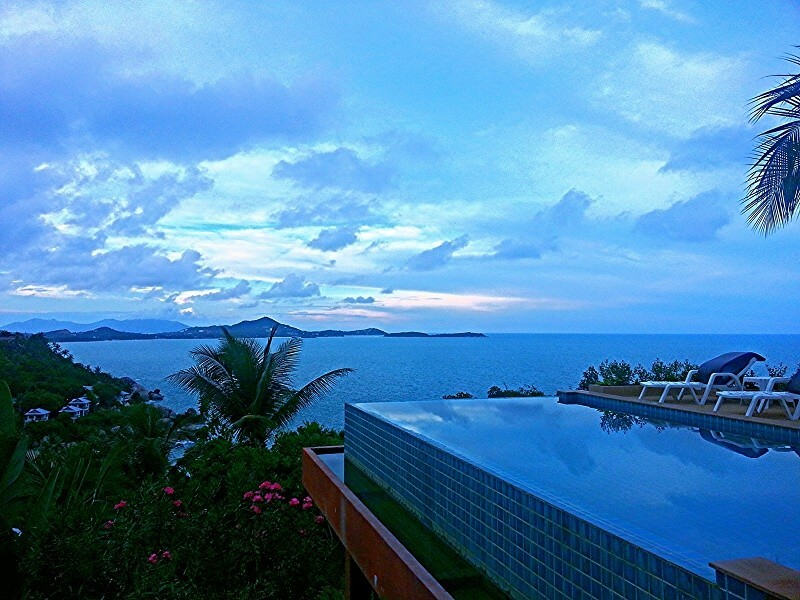 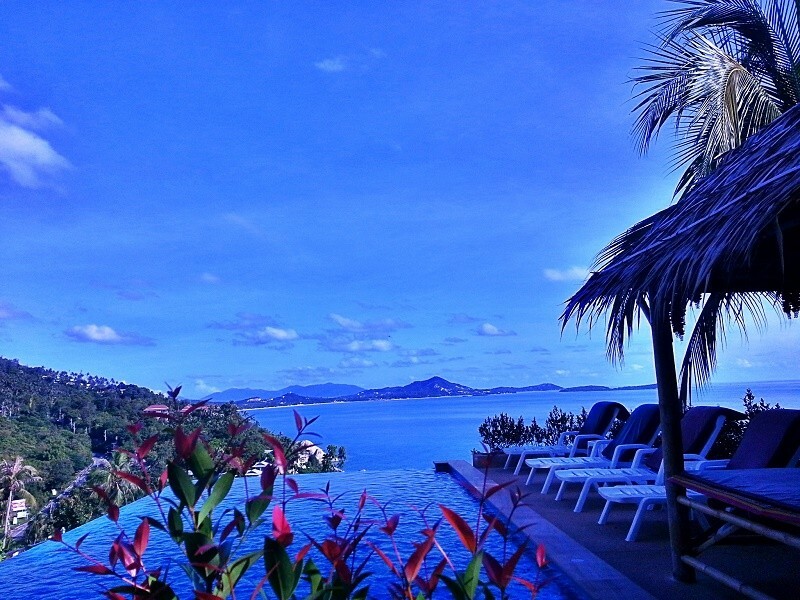 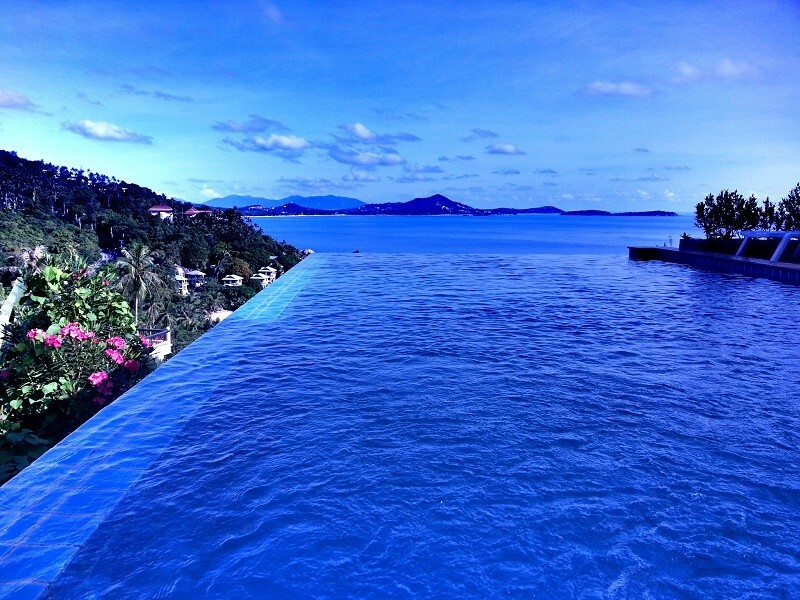 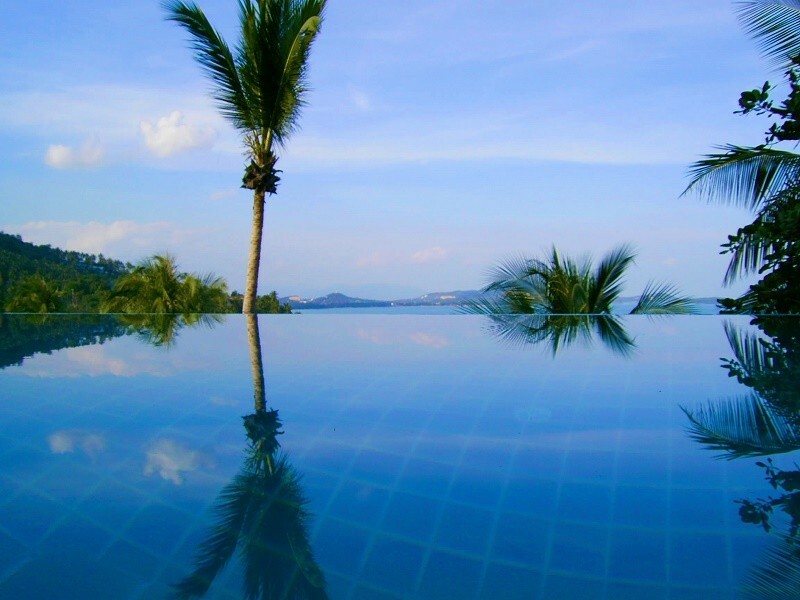 The pools are set apart from each other to enhance the familiar thai atmosphere in the lush tropical surrounding with views to the golden Chaweng temple and still further to Koh Samui`s little sister Koh Phangan, which is famous for its full moon parties.